We, Filipinos, love food treats in between main meals! Whether it’s sweet and hot or cold, the natural foodie in us tends to try everything that excites our palate! Ice cream, halo-halo, coffee, buko pandan, hot chocolate, cakes, and pastries – these are just a glimpse of the constant treats Filipinos indulge in. Our hearts (and stomachs) flutter when we are in sight of those luscious and delicious delicacies. 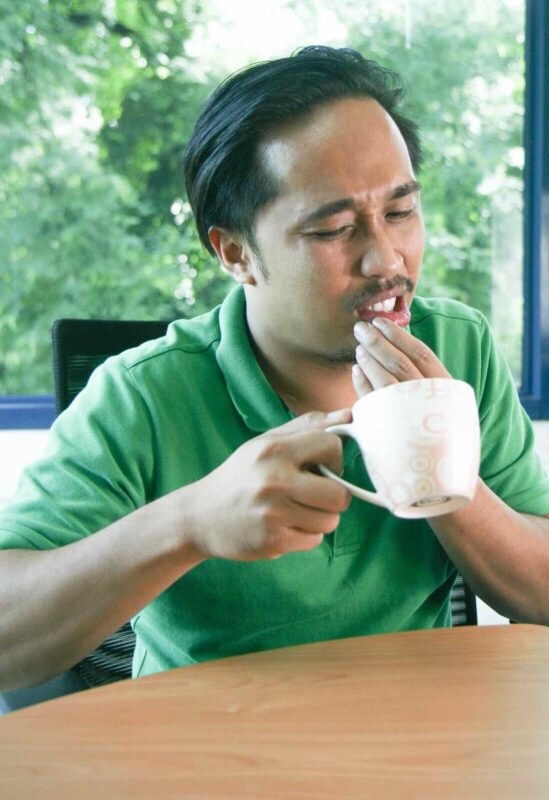 But these moments of sweet gratification, both in our everyday lives or in special occasions, can turn into quick pains – ruined by teeth sensitivity, commonly known as pangingilo. Instead of satisfying your cravings, you are instead left with those moments of pain. Celebrity mom Chesca Kramer, who is also an oral healthcare advocate for Gumtect Sensitive, recalls how much she and husband Doug Kramer would cap off their romantic dinner dates with sweet indulgences. “There are moments however where I feel that sharp pain in my teeth, preventing me from truly enjoying our date,” shares Chesca. These supposed picture perfect moments ruined by pangingilo can happen to anyone, not just Chesca. According to a study in 2011 by the National Monitoring and Evaluation Dental Survey, 48% of Filipinos suffer from some form of gum disease. Receding gums are often accompanied with tooth sensitivity. Commonly caused by wearing of enamel (the thin outer covering of the tooth), over-brushing, acidic food, and gum receding, pangingilo or dental hypersensitivity begins when the inner part of the tooth called the dentine is uncovered. Once this part of the tooth is exposed, various external triggers such eating sweets can easily agitate the nerves inside the tooth. This results to an oh-so-familiar brief yet sharp pain of tooth sensitivity. When left untreated, it can lead to further pain and swelling that can even lead to tooth removal. Avoid highly acidic food. Acidic food, such as meat, dairy, sugar, and coffee contribute to tooth sensitivity as it can tear away the tooth enamel. The key is to balance them with food high in alkaline like fruits, nuts, and vegetables. Use a soft-bristled toothbrush and desensitizing toothpaste. Using a toothbrush with hard bristles can tear down the tooth enamel, exposing it to the sensitive root area. Along with a soft-bristled toothbrush, desensitizing toothpaste would make sure that the teeth are well protected every day. Gumtect Sensitive has a Dynamic Desensitizing System that aids in preventing the pain caused by sensitive teeth as it protects the exposed dentine of the teeth. It also has Gumshield+ that helps repair, renew, and rejuvenate gums, and Active Anti-Cavity Protection that ensures fresh breath and strong teeth enamel. Cleanse mouth regularly. Plaque that clings to teeth also causes tooth sensitivity. Drinking the recommended eight glasses of water every day would help get rid of them. For tougher and stickier plaques, use Gumtect Sensitive Mouthwash that easily cleanses in between teeth, tongue, and cheeks when on-the-go. Visit your dentist. There is a general rule-of-thumb to visit your dentist at least twice a year. Even if you feel that your gums are in top shape, there are symptoms that are not easily recognized unless checked by a professional dentist. This can help in preventing the development of much tougher-to-treat problems. 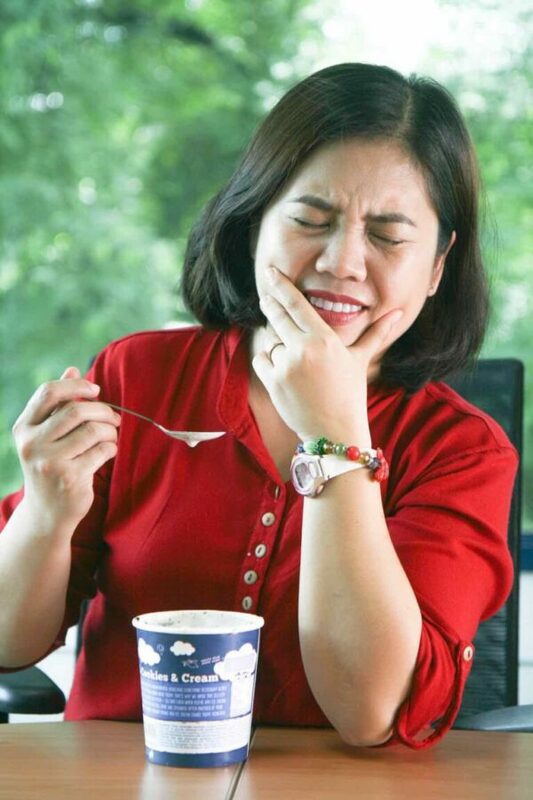 Prevent pangingilo from stopping you from enjoying your foodie moments and indulge in that blissful spoonful of your favorite dessert without the irritating pain.To know more tips about pangingilo, visit www.facebook.com/Gumtect.